Nanay's Trip My Journey and Joys Nanay's Trip It's a date, chocolate! Before January ends, why not spend this month's last weekend with a movie date with your friends or husband. Nanay's Trip lists down three movie events you can catch this weekend. 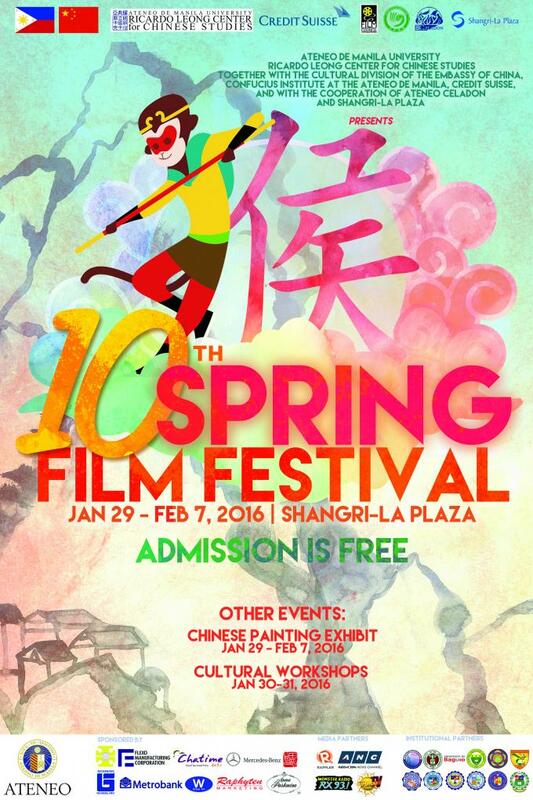 Welcome the Year of the Monkey a week ahead and be part of the 10th Chinese Spring Film Festival. Ten critically acclaimed movies are featured in this annual film festival at the Shangri-La Plaza in Mandaluyong from January 29 to February 7. You can watch these films for FREE at Shangri-La's Cinema 4. Check out this guide to help you decide which film to watch. My husband's movie picks are East, Wind, Rain and Full Circle. See you at the film festival! 2. Watch Lav Diaz's epic film Mula sa Kung Ano ang Noon (From What is Before), at Cinematheque Centre Manila. Lav Diaz, known for his lengthy but world class films, tackles an important moment in our country's history in this award winning film. Mula sa Kung Ano Ang Noon is set in a remote region of the Philippines just before martial law is declared in 1972. The palpable mood in the village is one of fear and foreboding, as individuals and the community alike are left shaken by mysterious deaths. The film’s events and stories are loosely based on the director’s own accounts and observations in his hometown during that dark time leading up to martial law. Mula is widely acknowledged for bringing the highest honor to Philippine cinema when it won the Golden Leopard (Pardo d’oro) at the 67th Locarno International Film Festival in Switzerland. This is the first Filipino film to earn such a prestigious title in a major European film festival. Hazel Orencio also received the Boccalino de Oro Independent Critics award for best actress at the Locarno. The film earned the grand prize at the World Premieres Film Festival in 2014. Since then, Diaz was nominated for Best Director at the 2015 Asian Film Awards. 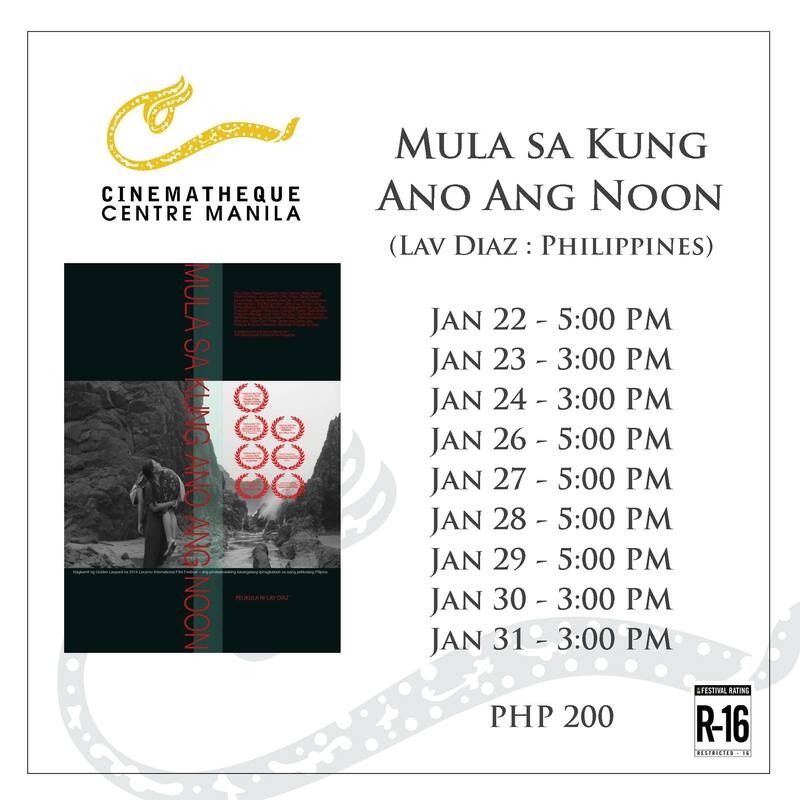 Mula sa Kung Ano Ang Noon will be showing at Cinematheque Centre Manila to close the January line-up of inaugural screenings. Given its 5 hour and 30 minute running time, it will be the only screening once each day from January 22-31. The admission fee is P200. Cinematheque Membership Card holders will have a 50% discount. Cinematheque Centre Manila is located at 855 T.M. Kalaw, Manila. 3. The last time I saw a Vilma Santos film was when she played the insecure and jealous mother to his gay son's partner in the movie "In My Life". I remember her memorable dramatic scenes with John Lloyd Cruz and touching moments with her real son Luis Manzano in the movie. 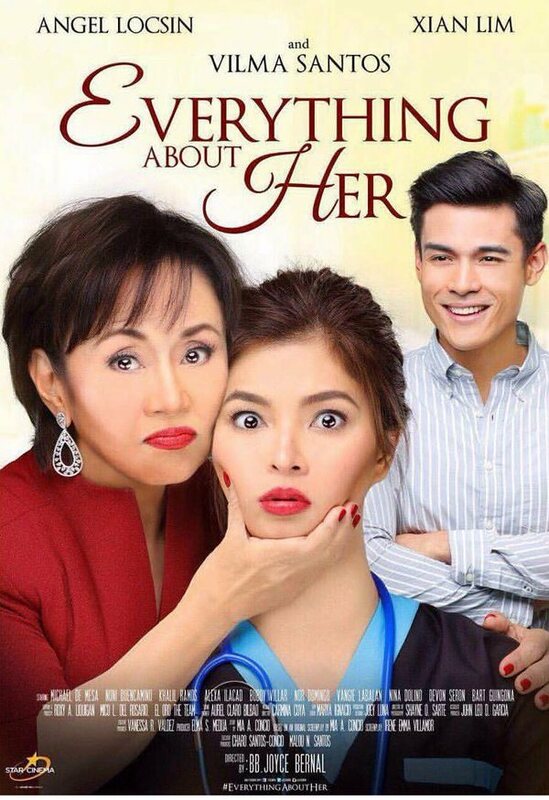 At this point in Vilma's acting career, she often portrays mother roles just like in her new movie, Star Cinema's first offering this 2016, "Everything About Her". If you miss watching Vilma Santos onscreen or just want to see a non-romantic comedy Filipino film for a change, make sure to catch Everything About Her this weekend. Don't forget to share your thoughts after watching the movie. Mare, what are you waiting for? Text your barkada and set your movie date this weekend. Ask your husband to go out with you for a movie date and have that well-deserved couple time. Enjoy!